The actor has faced legal trouble in New York before. Actor Alec Baldwin has denied that he "punched anyone over a parking spot" following his Friday arrest on an assault and harassment charges in New York. In a pair of tweets dispatched from his Hilaria and Alec Baldwin Foundation Twitter account, Baldwin said that he realizes "that it has become a sport to tag people w[ith] as many negative charges and defaming allegations as possible for the purposes of clickbait entertainment," but that "no matter how reverberating the echos [sic], it doesn't make the statements true." 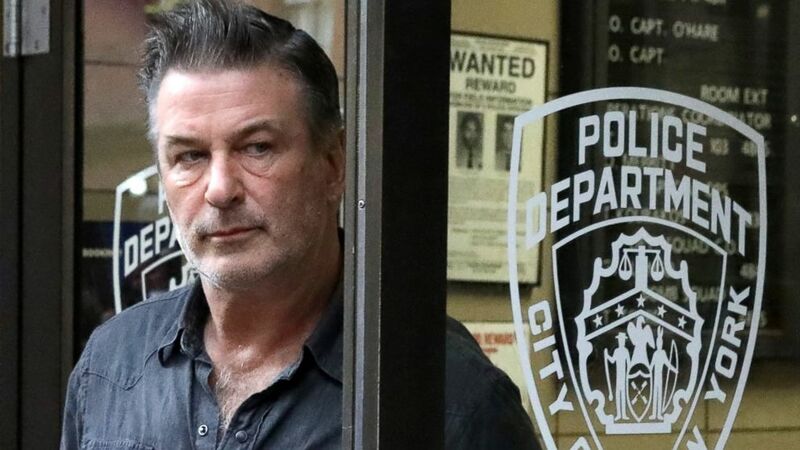 Baldwin was charged with misdemeanor assault and harassment after he punched someone during what police officials described as a dispute near his home in New York City's Greenwich Village. Baldwin is expected to appear in court on Nov. 26. A representative for the actor had no comment. Baldwin, 60, has faced legal trouble in the Big Apple in the past. (Andrew Kelly/Reuters) Actor Alec Baldwin exits the 6th precinct of the New York Police Department in Manhattan, New York, Nov. 2, 2018. A police source added at the time that Baldwin “got arrogant and loud," which is why he was given his second summons for disorderly conduct. Baldwin responded in a tweet of his own, naming the officer and declaring, "New York City is a mismanaged carnival of stupidity that is desperate for revenue and anxious to criminalize behavior once thought benign." Meanwhile, President Donald Trump, whom Baldwin impersonates on "Saturday Night Live," had a few words of encouragement for the actor, when told about the impending charge. “I wish him luck," he said.